| Art, opera, literature, writing, history of dress, interiors, travel, Paris . . . and more. By Susie Ralph. 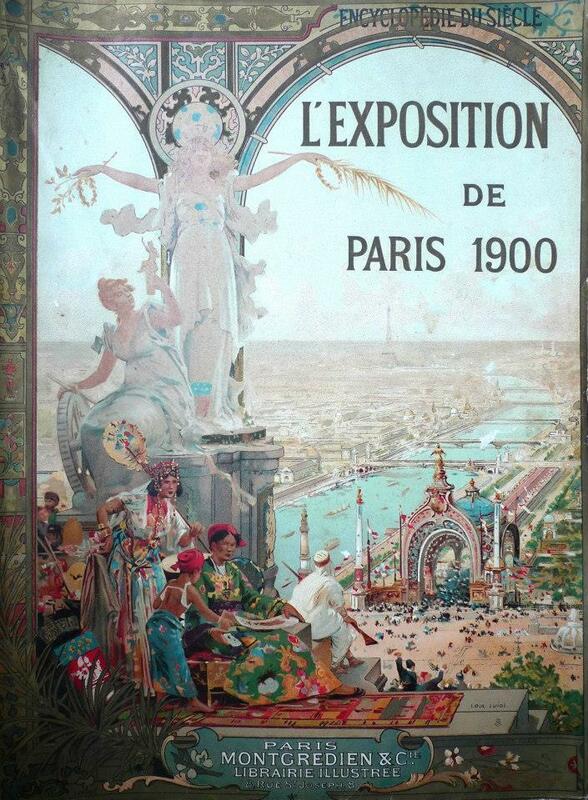 Art, opera, literature, writing, history of dress, interiors, travel, Paris . . . and more. By Susie Ralph. Jeanne Margaine-Lacroix , Carlotta Bonnecaze and the phenomenon of serendipity. A string of coincidences has led me to discover the extraordinary work of Carlotta Bonnecaze, a designer of Carnival costumes and floats in 19th century New Orleans. Last weekend I made a very brief trip to Paris to attend the seminar Corps à Corps avec la Mode http://histoiredemode.hypotheses.org/page/3. I have been invited to present my research on Jeanne Margaine-Lacroix to the Histoire de Mode society next March, which is an exciting prospect! While in Paris I took the opportunity to visit the great-granddaughters of Jeanne Margaine-Lacroix and was shown photographs of the designer, her daughter and granddaughters, on a visit to New Orleans, during the First World War. Margaine-Lacroix’s daughter was married to a French-American from New Orleans whose antecedents had the surname Bonnecaze. As I am visiting New Orleans in a week’s time I thought I would do an online search for the Bonnecaze family – and discovered Carlotta. I may never discover whether the mysterious Carlotta was an antecedent of my friends in Paris, but I am thrilled to have discovered her work. She displays an extraordinarily inventive and at times surreal imagination. Another brilliant female designer whose name slipped into obscurity for almost a century until, according to Schindler, the New Orleans author and historian Charles L. Dufour identified her in his 1981 book: Krewe of Proteus : the first hundred years. An artist’s fantasy: the frescoed house of Vlaho Bukovac. Tucked away up a narrow flight of steps in the small seaside resort of Cavtat, is the home of one of Croatia’s most celebrated artists. I knew nothing of Vlaho Bukovac before visiting the home in which he grew up. What enchantment lay within the old stone house which Bukovac inherited from his Italian grandfather! Stepping from the heat of the garden into the cool interior, we were greeted by a diminutive young woman with a gentle, old-fashioned manner. Her enthusiasm for the artist and his works was quiet but fervent. an anteater flicks out its long tongue and a gracefully rendered swan opens its wings. But the room which took my breath away is entirely blue – a heavenly lavender blue. Between painted columns wreathed in foliage, faintly sketched classical statues emerge as if from a mist. Arabesques of leaves and yellow flowers are strewn across the ceiling and a central garland encloses a a white-clad female figure. This is a room to sit and dream in! The top floor of the house contains Bukovac’s studio and a selection of his paintings – portraits, landscapes and studies in a variety of different styles. After a successful period in Paris, studying at the École des Beaux Arts under Alexandre Cabanel and exhibiting at the Paris Salon, he returned to Croatia and became the leader of a new modern movement known as the “Colourful Zagreb School”. His portraits, especially those of his sisters and his children, display a great sensitivity. The academic style of Cabanel, which he adopted in Paris, is the least pleasing, having none of the spontaneous charm of his other less mannered works or lively half-finished sketches. Shortly after visiting Bukovac’s house I came across this very beautiful painting of two women, in the collection of the museum at the Franciscan monastery in Dubrovnik. Very pleased to have discovered this largely unsung artist! Jeanne Margaine-Lacroix: revolutionary designer who changed the line of fashion. Here is an example of her slender, corsetless line – the robe-tanagréenne. It is worn by her favourite model, who small bust and simple hairstyle were avant-garde for the time and contrasted strongly with the generally accepted ideals of fashionable feminine beauty in the first decade of the twentieth-century. I am currently working on a monograph of Margaine-Lacroix, which draws upon a body of research collected during the course of an MA: Investigating Fashion Design, 2009 – 2010, and added to over the past four years. Also available online:Inspired by the Antique: Margaine-Lacroix and the robe tanagréenne, a paper presented at Costume Colloquium III: Past Dress: Future Fashion, Florence 2012. http://www.costume-textiles.com/?page_id=1848 Select Susie Ralph from the list of online presentations. The recording starts with an introduction in Italian. It doesn’t have to be beautiful – to be beautiful . . . 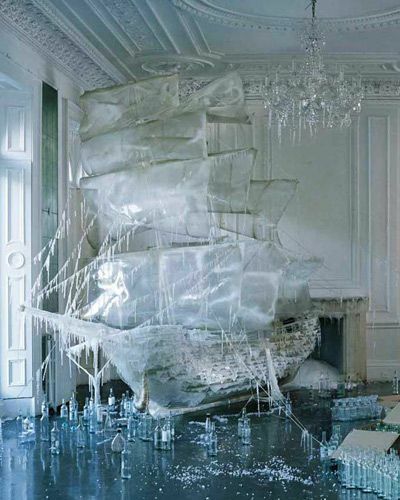 Many of photographer Tim Walker’s sets are made by designer Rhea Thierstein. Had to share this beautiful image and draw attention to her amazing work. The Object and the Experience: What makes a memorable exhibition? One of the first exhibitions I visited, as a young fashion student, was Fashion: an Anthology by Cecil Beaton, V&A, 1971-72. This was the first serious exhibition to be mounted in London on the subject of fashion and it made a lasting impression on me. Today the stakes are much higher and we have grown used to the idea of both the blockbuster exhibition and the study of dress as a legitimate academic pursuit. The more exhibitions I visit, the more susceptible I become to the influence of the environment in which they are presented. I am currently working on a historical novel: The Bright Facade od Paris. It draws on research undertaken for an MA which investigates the Paris couturier Jeanne Margaine-Lacroix, 1867-1930. Lily is a ‘woman with a past’ – a past that contains a secret which she decides to reveal as she nears the end of her life. Jeanne Margaine-Lacroix: revolutionary designer who changed the line of fashion. A monograph on the influential early twentieth century designer Margaine-Lacroix. This work draws upon a body of research collected during the course of an MA: Investigating Fashion Design, 2009 – 2010, and added to over the past four years. Recently a string of coincidences led me to visit Il Vittorale, the estate of poet, aesthete and political activist Gabriele D’Annunzio. On hearing that I was going to Lake Garda, my brother lent me a guide book to Il Vittoriale, which he himself had chanced on. Knowing my decorative tastes and interests he thought I would appreciate it. I did. The following week Radio 4 broadcast an episode of The Pike, a new biography by Lucy Hughes-Hallett of the “Poet, Seducer and Preacher of War.” The next coincidence came during the last of a lecture series which I had been attending. It was on the theme of Decadence and Dr Allan Phillipson† explored D’Annunzio’s relationship with “The Divine Marchesa,” Luisa Casati. Paris – La ville lumière, the city of light – the city of love! She glitters in the night like a grande-horizontale bedecked in her most extravagant jewels, like a diamond parure, hard and brilliant, resting on a bed of soft, yielding black velvet. What vices lay hidden in that inky darkness, what temptations lurk unseen in her shadowy folds? But do not concern yourself with what may lie beneath, she whispers seductively, take pleasure only in my beauty and my dress. Look – I have arrayed myself in my finest to greet the new century! The evidence of the calendar is belied by the magnificence of her display, all the extravagances of the old century have reached a final flowering. The old ways are not ready to die yet, and the young and impressionable Lily, on the threshold of womanhood, is captivated by this glittering façade. She is letting down her defences – and, like a beautiful avaricious woman, Paris reaches out – and grasps her heart. Ex-lecturer in the history and theory of dress, freelance designer/maker and writer. Obsessively curious, I will always click that link or explore that overgrown path. The Bright Façade of Paris: a novel set against the background of the French couture industry, during the Belle Epoque.